For more than 25 years, Marty Preiser has strived to protect working people who have been seriously injured by the negligence of others. Mr. Preiser’s practice areas include injuries received from car, truck, train and motorcycle accidents, defective products, medical negligence, construction accidents, animal bites, slip and falls, defective premises, nursing home neglect, work-related accidents and injuries resulting in wrongful death. Mr. Preiser also represents people in complex litigation matters. Over the course of his career, Mr. Preiser has successfully settled or tried many complex injury cases recovering millions of dollars in compensation for his clients. Mr. Preiser began his career as a general practitioner, later becoming an assistant corporation counsel for the City of Chicago, where he successfully tried dozens of cases. Beginning early in his career, Mr. Preiser had a special interest in the parents and young children whose lives were tragically changed by vaccinations. 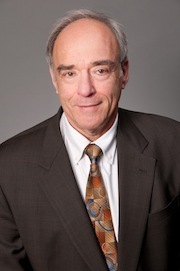 Mr. Preiser joined one of the nation’s pioneering law firms that concentrated in representing hundreds of children injured by childhood vaccinations, securing millions of dollars in compensation through the lawsuits in State and Federal Courts for vaccine injured children, before the enactment of the National Childhood Vaccine Injury Act. Mr. Preiser has continued to dedicate a portion of his practice to representing those catastrophically injured from defective products and medical malpractice. Mr. Preiser lives with his wife in suburban Chicagoland.